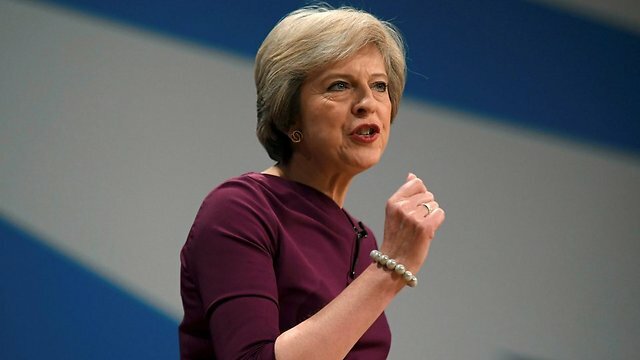 May accused of playing 'chicken' with Brexit talks - SABC News - Breaking news, special reports, world, business, sport coverage of all South African current events. Africa's news leader. Deal or no deal, Britain is due to leave the European Union on March 29. Prime Minister Theresa May asked MPs Tuesday for more time to try and revive her Brexit deal with the EU in what the opposition said was a ploy to “run down the clock”. May updated parliament following a series of last-gasp meetings held in Belfast, Brussels, and Dublin despite EU leaders’ insistence that they will not renegotiate the deal they had already struck with her. Deal or no deal, Britain is due to leave the European Union on March 29, and a disorderly exit could cause chaos. “The talks are at a crucial stage. We now all need to hold our nerve to get the changes this house requires and deliver Brexit on time,” May told lawmakers. “Having secured an agreement with the EU for further talks, we now need some time to complete that process,” she said. May’s statement was seen by political commentators as an attempt to defuse any parliamentary rebellion in a series of votes on May’s Brexit strategy to be held on Thursday. May has promised MPs another chance to vote, on February 27, on what to do if no deal is reached.MPs last month overwhelmingly rejected the deal struck between May and Brussels for Britain’s exit from the EU. Ever since, the premier has been trying to secure changes to the accord that would satisfy parliament’s lower House of Commons. Pro-Brexit MPs in May’s Conservative Party are unhappy particularly with a so-called backstop provision intended to keep the border with Ireland free-flowing. Main opposition Labour Party leader Jeremy Corbyn said May had come to parliament Tuesday with “excuses and delays” and accused her of trying to “play chicken with people’s livelihoods”. “It appears the prime minister has just one real tactic: to run down the clock hoping members of this house are blackmailed into supporting a deeply flawed deal,” he said. For his part, Bank of England chief Mark Carney warned that leaving the EU without a transition deal “would be an economic shock for this country”, and said Brexit was an “acid test” of the globalised economy. Added the City of London’s policy chief, Catherine McGuinness: “The last grains of sand are slipping through the hour glass as another day is lost in Brexit limbo”. Brexit Secretary Stephen Barclay and David Lidington, May’s de facto deputy, met members of the European Parliament in Strasbourg Tuesday while British Foreign Secretary Jeremy Hunt was in Paris as part of a diplomatic offensive. Hunt said he had “open and thoughtful discussions” with French Foreign Minister Jean-Yves Le Drian. “Both sides want a Brexit deal that supports ongoing friendship between UK/EU/France so patience and goodwill on backstop now the critical ingredient,” he tweeted. Le Drian had a different message, tweeting that “rapid progress” was needed to ensure an orderly divorce. “We must remember that the efforts of these men were not appreciated by the common man… because they all ended under the guillotine,” Guy Verhofstadt, leader of the assembly’s Liberal group, told reporters. Meanwhile, students supporting a second referendum urged Corbyn to “get off the fence” on Brexit, in a stunt in his north London constituency. Many of Labour’s younger, newer supporters who propelled the veteran socialist to the party leadership want to stay in the EU — but many of the seats Labour holds in parliament are in pro-Brexit hotbeds. “A lot of people have noticed the complete lack of opposition on this,” said Kira Millana Lewis, an 18-year-old student and Labour member. This entry was posted on 12 Feb 2019,08:30PM at 8:30 PM and is filed under World. You can follow any responses to this entry through the RSS 2.0 feed. Both comments and pings are currently closed.